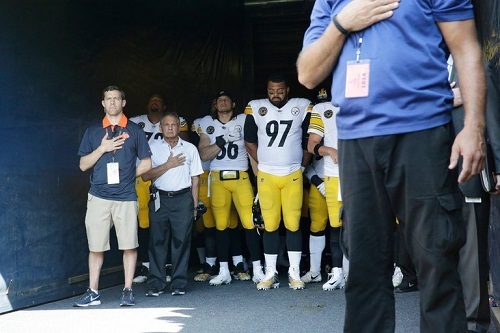 Last Sunday in Chicago, the Pittsburgh Steelers, a professional American football team, remained in the locker room for the national anthem. They have been roundly condemned by their fans with many burning their Steelers jerseys and other treasures. Fox Sports is following their lead and eliminating their coverage of the national anthem at NFL games. (3) avoiding public relations pitfalls. But they may lose on this last one just as the Steelers did; everyone despises a neutral.